English breakfast was the theme that we Gourmets decided upon for this month. 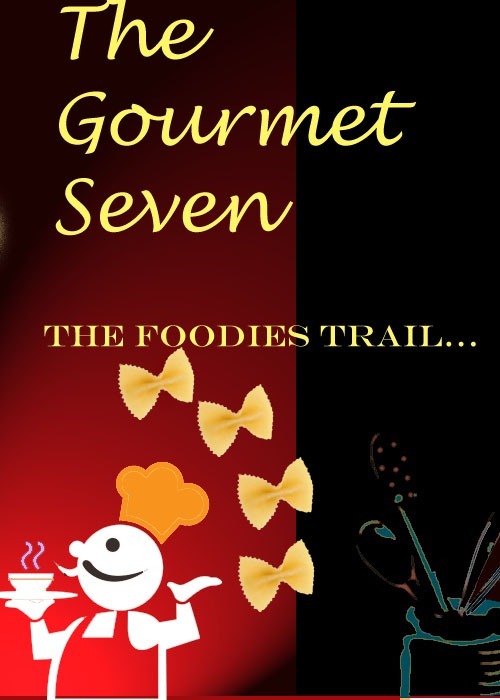 This was quite challenging for me as I am not familiar with English Cuisine. I chose on trying out Pancakes. While searching for a good recipe, I got to know a lot of interesting facts about these humble pancakes. 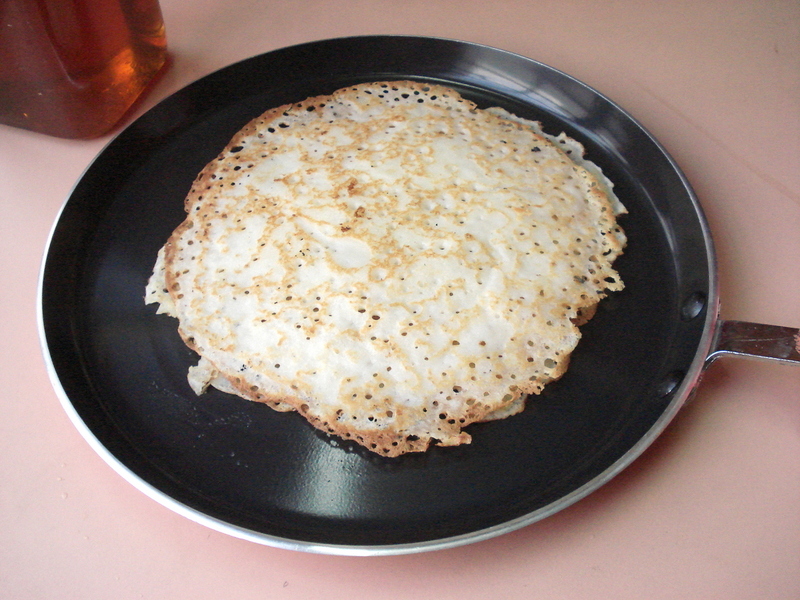 Pancakes are a westernized version of the Indian Dosa. They are very popular in the Europe and the Americas. Now, the English Pancakes are very thin when compared to their American counterparts. These are traditionally served with a sprinkle of caster sugar and a squeeze of lemon and rolled. Did you know that there is a day called the “Pancake Day”. (I did not know until I started searching for the Pancake recipe). Shrove Tuesday or Pancake Day is celebrated a day before “Ash Wednesday” or a day before Lent. It is called Pancake Day because it is the day traditionally for eating pancakes as pancake recipes were a way to use up any stocks of milk, butter and eggs which were forbidden during the abstinence of Lent. Almost all the recipes used eggs in them. (They have to isn’t it, since the idea behind pancake day was to use up the eggs.) But I did find a good recipe which did not use eggs and the pancakes turned out really good. Though I wanted to try the traditional sugar and lemon, but I could not as I was not of stock of lemons. Instead we had it with a drizzle of honey and they tasted yummy. Making thin round pancakes is an art which needs some practice. I’ll have to make them a number of times to get that perfect shape. Sift the flour, and baking powder. Combine the milk, sugar, oil and water. Mix well. Slowly add the milk mixture to the flour and mix with a whisk, until it resembles a runny batter. Heat a flat pan. Grease lightly and pour a ladle full of batter and move the pan quickly such that the batter forms a thin a uniform layer on the pan. Drizzle a tsp of oil and let it cook. When edges turn light brown, flip over and cook for another 30 to 40 seconds. Remove from pan and serve with a topping of your choice. The choice of toppings is innumerable. You can serve them with Jam, honey, golden syrup, chocolate syrup or any savory filling too. Your pancakes are so porous like rava dosa..
Looks great dear, and that's a new info about Pancake Day..
That's a lot info about pancakes Kaveri. Lovely clicks. Easy to prepare and delicious looking pancakes. I am always fond of English breakfast. Inviting pancakes Kaveri. We add some berries to it at times. Healthy breakfast option,yummy..Nice to read about the 'pancake day' which I was unaware,Kaveri!! Sounds like an excellent recipe making pancakes without eggs. Delicious pancakes Kaveri. You made without eggs. I can have this pancakes even everyday, loved this eggless pancakes.